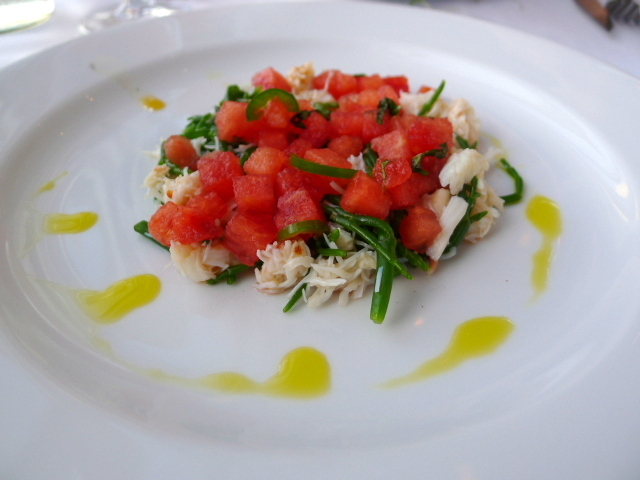 A Devon crab and samphire salad with watermelon, green chilli and mint (£14.50) was pleasant on the palate. The crab was sweet although disappointingly I found several pieces of shell running through the crab. The watermelon and bits of chilli were nice additions to the starter but a little bit more acidity and spice would have helped to lift it further. The roasted fillet of Aubrey’s 28 day dry-aged beef on the bone (£72.50) went down well as it was quite tender, but it was not quite as tasty as one might have expected for steak at this price. 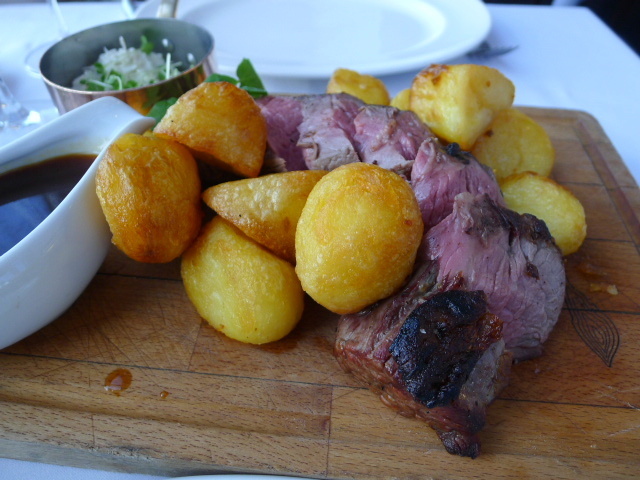 The Yorkshire puddings were good, but the beef dripping roasties were a bit hard and dry, and the gravy that came out with the beef had a tinge of bitterness to it. We also tried some sides, and the mixed bean salad tossed with mum’s mint relish (£4.50) and the hispi cabbage (£4) were both nicely done. The vegetables had bite to them and the mint relish dressing was zingy and fresh. 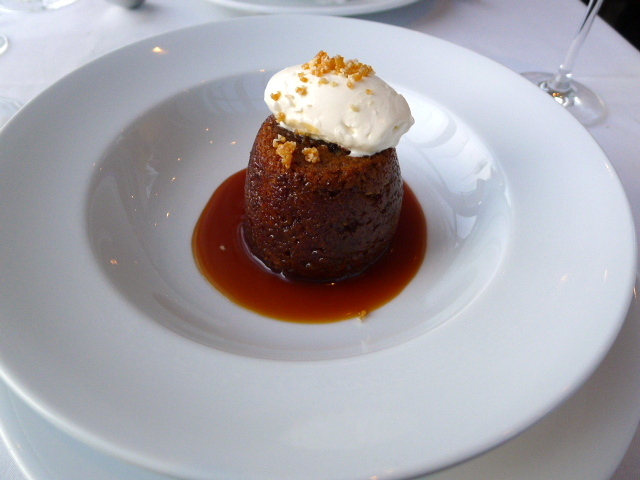 To desserts, and a sticky date pudding with toffee sauce and Neals Yard crème fraîche (£7.75) was satisfying and yummy. The sauce was rich and decadent, and the pudding was moist and light. 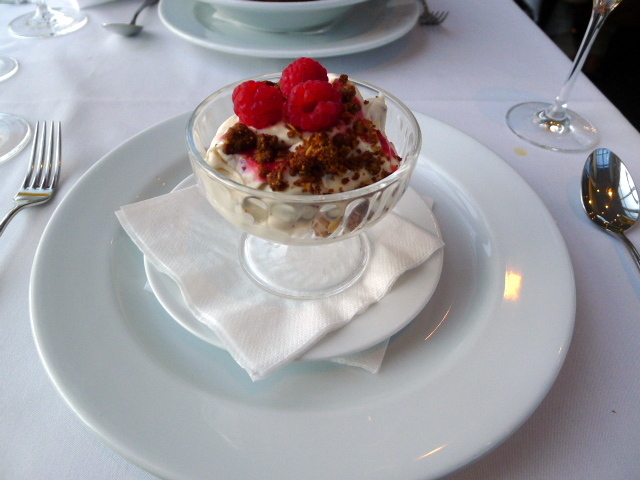 A raspberry cranachan (£7.50) boasted of fresh, sweet raspberries, oats and lots of cream. There was perhaps too much cream, and it would have been nice to see more fruit and oats for a better balance in this dessert. 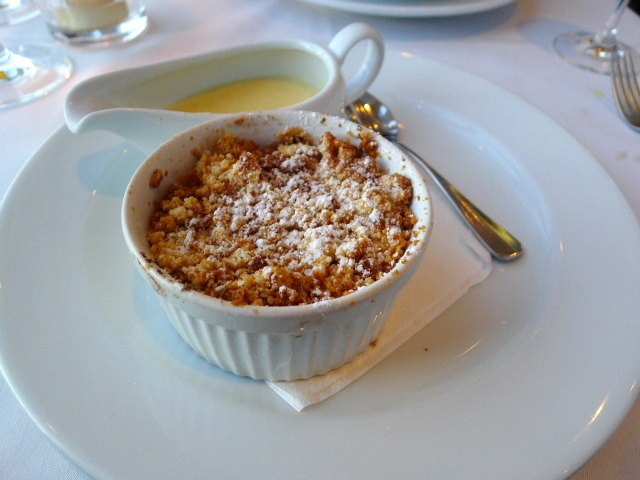 The crumble on a bramley apple and blackberry crumble (£7.50) was a disaster. 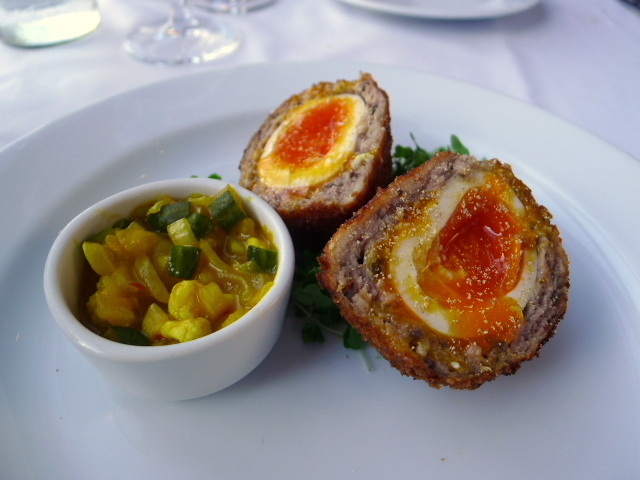 It lacked for both crunch and texture and consequently was not very appetising. The fruit was soft and sweet which helped to hold up the dessert, and the custard was delicious with a lustrous quality to it. There were a number of things to like about Roast. With its airy and light demeanour, the dining room had a sense of sophistication that made it a very comfortable place in which to dine. And the service was cheerful and accommodating which also made us feel right at ease. As for the food, there were highs and lows within each course and more fine-tuning was needed to elevate it to a level of finesse. But on the whole we enjoyed the whole Roast experience for the ambience and service, even if the food was a little uneven.